This makes me think of lovely landscapes and what better place to showcase them than with a … HOMEMADE GIFT EXCHANGE!!! Certain communication will only be done via private messages so each Buddy will need to check their Forum Inbox on a regular basis. Please read ALL posts as changes have been made since the last gift exchange! Sign Ups: Sunday, March 31 to Saturday, April 13 ending at 11 pm (EST). Buddy Names: Each Buddy name will be sent via private message and should arrive by 11 pm (EST) on Sunday, April 14. Check-in ONE: Before or by the end of Tuesday, April 16. Check-in TWO: Before or by the end of Tuesday, April 30. Check-in THREE: Before or by the end of Tuesday, May 14. GIFTING Time: Sunday, May 19 through Thursday, May 23. April 15th edit: Dates changed from May 20 through 24 due to a schedule conflict on my end. *This rule is subject to change, depending upon number of Buddies. G5. If you download or add a gift to your favorites list, please ‘Recommend It’. An alternate method that also works: You manually type [ i m g ] paste-your-link-here [ / i m g ] without the spaces inside the brackets. An alternate method that also works. You manually type [ u r l ] paste-your-link-here [ / u r l ] without the spaces inside the brackets. If you want the link title to be other than the link address, type in your changes to the wording that is located before [ / u r l ] without the spaces inside the brackets. Looking forward to reading Buddy Letters & learning more about what you like in your games! I think I have it correct! I enjoy this style of build the most: (Examples: Craftsman, Victorian, Modern) I enjoy all styles of homes! Farm houses & suburban homes are my favorite I think! I would or would not like lots in the following sizes: (If you’re a fan of tiny lots, then here is a great place to mention that! If larger lots make your game lag while loading them, mention it!) I’m a fan of medium sized lots, but if it’s bigger then no worries my computer will handle it! I want/don’t want berry sims: I’m not a big fan of the vampires or werewolves! Do you want your sims and/or pets skilled up for you? If so, how much? (Example: A couple of points, but not maxed out) Not necessary but you can if you want, it’s entirely up to you! Are there particular skill items that you really like having in a build? (Example: I love having sims that can cook, garden, paint and write so having those skilling objects would be awe-sim!) I love sims that cook and garden, they are my favorite and brings back many memories of my first time playing Sims 3! How do your sims travel around town? Taxi ... vehicle ... bicycle/scooter ... horse ... broom? (Mention your preference and whether you want a parking spot or two, garage, bike racks, stable, broom stand. Some sims prefer to put transportation in their inventory, if applicable.) Mostly cars, but I like bikes and the bike racks I try to put both in most of my builds if they have one then I put the other! But its entirely up to the buddy! Other: (Describe here anything that you’d really like that might or might not have been previously mentioned!). I wouldn’t mind a large dining area where my sims could have plenty of room to host parties and family gatherings! Happy to see you hosting another one m'dear! I really enjoyed the last one! Looking forward to participating this time around. I'll have to come back later to formally join because I don't have time right this minute to write a letter. Looking forward to seeing your letter! I prefer to play in this EA-made World: I love all the worlds and try to rotate play among them. I enjoy playing in this custom world (please include link): The only custom worlds I’ve “played” are empty ones that I build in. I enjoy this style of build the most:I really do enjoy modern the most as I love taking something ordinary and giving it a twist. I really don’t want this in my game: I don't like big lots or sims with lots of cc as they can cause lag. I would or would not like lots in the following sizes: I am a HUGE fan of TINY lots! Larger lots make my game lag. So, if you’d like to challenge yourself with a 10x10 build, I’d love to play it! Anything that is just two stories on a 30x40 or smaller lot is fine. I don’t want berry sims: I play normal guy/girl next-door looking Sims. I don’t want occult sims: I play normal guy/girl next-door Sims, though occasionally I’ll play a genie or witch. I am NOT a fan of vampires, though I do like how fast they skill! I don’t want pets in the household: One cat or dog in the family is enough for me. Too many pets is more challenging. Do you want your sims and/or pets skilled up for you? Yes, but if not, I'll still play them! If so, how much? A couple of points to show you liked playing the Sim(s) means I will enjoy playing them too. Are there certain skills you want skilled because you really like having them ready when you start with a new sim or household? A cooking point means they can gain skill as they watch the cooking channel. An athletic point means they can jog. A charisma point means they’ll build charisma as they chat with others. So, those are usually the first skills I work on. Are there particular skill items that you really like having in a build? Every Sim is different, so is every build. Put in what you’d like for the Sim(s) you imagine living there. How do your sims travel around town? Mine usually jog. (Mention your preference and whether you want a parking spot or two, garage, bike racks, stable, broom stand.) I do like room for a parking spot so I can have a vehicle to teach a teen to drive. Other: I love reading a Sim story with nice pictures. Present your Sim or build with a little back story to match the pictures and I’ll love it. And, I usually include a driveway; but not necessarily a car. So glad we're doing this again. I will be working on my letter, but I may be a little slow due to "life" at the moment. It will be good to have some fun sharing with friends. I love the name - aMAYzing! It's great to see @BreeMiles and @60smusicluvr here already and I know @suzses is looking forward to this as well. I hope we'll see some new faces as well as a lot of veteran ones. Looking forward to seeing your letter, @suzses! Some of my favorite colors are: cools and neutrals, I prefer bold colors as accents. I really don’t like this color: I like them all, I guess orange is my least favorite. I enjoy playing in this custom world (please include link): I recently started a game in RFlong's Bridgeport edit. I enjoy this style of build the most: (Examples: Craftsman, Victorian, Modern) I love most styles, I like the minimalism of Scandinavian Modern or the detailed facades of Victorian Italianate the most. Just a note; I typically build symmetrically with wide open spaces because I'm neurotic about it. So in my neighborhoods I love to mix in builds from others that are asymmetrical or ones with tiny hallways or interesting angles. Of course, if you are a symmetrical builder too go ahead and do that I will love it. Or 3rd party CC or CAP, I check everything in custard. I keep what little CC I use quarantined as a package and remove the folder entirely when building. I would or would not like lots in the following sizes: (If you’re a fan of tiny lots, then here is a great place to mention that! If larger lots make your game lag while loading them, mention it!) I prefer smaller to medium lots with a smaller building footprint and outdoor space. 10x10-40x40, unless it's a farm or a roller coaster or something that needs a lot of space. 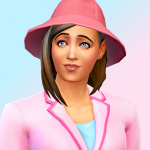 I want/don’t want berry sims: I love seeing stories with them but I play realistic sims, barring the occasional unicorn breeding witch or fairy gardener. Most of the time my townies usually look like an LL Bean catalog running around. 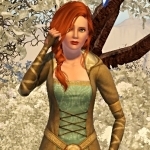 I want/don’t want occult sims: When I play occult I like Fairies, Witches, Mermaids and unicorns. I don't really like werewolves or zombies, vampires are fine as townies. I play with a no zombie mod so I am not sure how a zombie townie would work. I want/don’t want pets in the household: I like to occasionally breed horses (and unicorns) so it's always nice to have variety for mates. Dogs are good, only one per family unless they are friends, siblings or have some sort of story where they shouldn't be separated, usually have a minor pet or two in the house I like terrarium or fish jar collections. I had 3 cats until recently so I typically don't have them in game too. Do you want your sims and/or pets skilled up for you? If so, how much? I prefer sims I play to be in the CAS folder because I want to 'be there' for their whole lives. I don't know if that's weird. 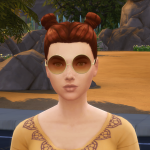 For townie Sims (which I'm always on the lookout for) it's nice if their skills make sense for their career path and level. 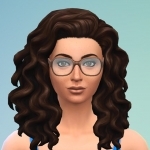 Are there certain skills you want skilled because you really like having them ready when you start with a new sim or household? (Example: A few points in Cooking would be nice so sims don’t burn the grilled cheese and can make more than a mean bowl of cereal!) I like when the skills make sense for the sim. How do your sims travel around town? Taxi ... vehicle ... bicycle/scooter ... horse ... broom? (Mention your preference and whether you want a parking spot or two, garage, bike racks, stable, broom stand. Some sims prefer to put transportation in their inventory, if applicable.) My Sims usually ride a bicycle/scooter in most neighborhoods so I don't really need a garage or parking on community lots. When I've play witches I preferred to keeping her broom rack in a small closet. Other: I will treasure and appreciate whatever you make me, it means the world to me that someone would take the time to create something just for me. As long as the sims 3 has been out I've barely scratched the gameplay surface so if you think of something not covered in this letter and would prefer to just surprise me with something I didn't even realize I needed in my game then that would be awesome too. I just finished building a test house to see if I can still upload to the exchange. I will be back later tonight, or some time this week with my letter. GLAD to hear that your test upload worked. Yay! @Jessabeans and @MsPrissy88 - it's great to see you both here as well. And, @Jessabeans - Yes to minimal Scandinavian modern, asymmetrical, and interesting angles! You forgot to mention what size lots you might or might not like. I own the following Store Content: I own about 98% or 99% of the store. The only venue I don't own is Olympian Physique. I don't have some of the origin or pack exclusives and a few outfits. None are a big deal, so feel free to use as much store content as you like! I own the following EA-made Worlds: I own all the EA store worlds. I earned Barnacle Bay as some sort of glitch, so it never registered on my sims 3 account page. Some of my favorite colors are: My FAVORITE color is green! I really don’t like this color: My least favorite is orange. I love to use items from this set: I LOVE, LOVE, LOVE, all store content. I prefer to play in this EA-made World: Hmm. That's a tough one. I'm more of a builder than a gameplayayer LOL. ANYWAYS, I guess I'd really be open with almost any of the worlds (excluding Dragon Valley and Monte Vista) because if I'm being honest, I've only played about one save in each and some of them never. I know. That's bad! *hides face in shame* With that said, Appaloosa Plains has recently peaked my interest, after I parked my latest build in that world. I was sort of blown away with some of the original lots. I was just surprised with how little, perhaps not even if at all, that I would have to go through and edit them. I really just never took a good look at that world and I've never had a single save there. I love that cute, cottage lot owned by one of the townies there and I think it was either the salon or consignment shop (maybe both!) that really wow'd me. Hidden Springs, Twinbrook, Riverview are all favorites of mine. Isla Paradiso and my recently purchased, Roaring Heights show a totally different side that I love, but wouldn't necessarily recommend building for me in. I enjoy this style of build the most: Gosh! The only thing I don't like is something ultra modern. That's a big no no. I like stuff that is historical looking, an old town sort of vibe. I really like old fashioned, vintage/industrial looking designs. I'm cool with tudor style homes (just don't go the 'Dragon Valley' route tudor, okay? So, I guess something more modern looking, if you were to go this route), cottages, farms and Victorian. I'm not very knowledgeable on all the styles in the world, so I probably left out so many types that could be considered historical and that's really the key for me. I just like old fashioned stuff and furniture (particularly sofas with buttons)! I really don’t want this in my game: Seeing as how no CC is a rule, I think we're good. I would or would not like lots in the following sizes: The only thing that I dislike about uploads is if a house is so large that it feels like a maze just to find your sim. I don't like going up and down a million levels and one of the greatest examples of this would be ''The Boardwalk' venue, a beautiful lot made amazingly well, but a nightmare to play in in my personal opinion. I would prefer homes to be on 40X40 lot or smaller, unless you want to make a farmhouse, in which case, make the lot as large or as small as you want. 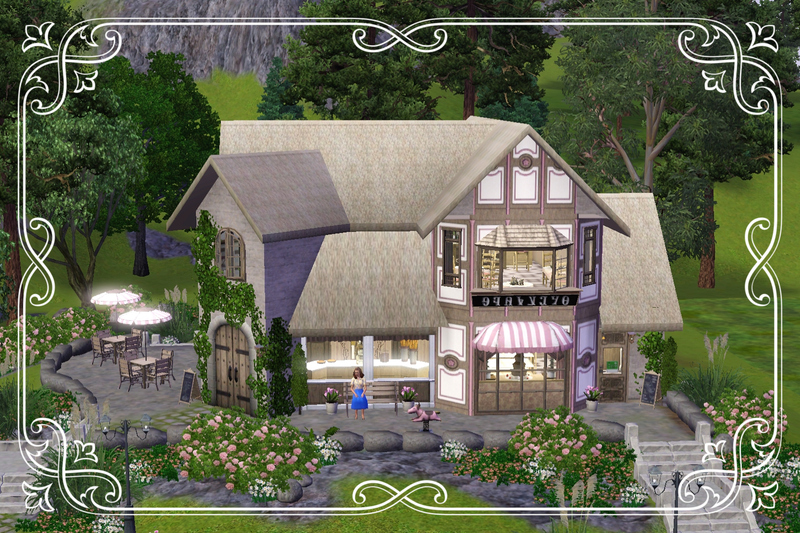 I want/don’t want berry sims: I prefer playing realistically, but I won't say, "no!" I want/don’t want occult sims: Occult sims are A-Ok! If you don't know already, I really enjoy doing steampunk builds and I have set up so many wonderful lots in Midnight Hollow ready for me to hop in and play. Occult sims would fit well in this world and I guess I'd prefer any occult sims you may make for me to be "Steampunk." I want/don’t want pets in the household: I'm open to having pets, but please limit it to only one! Do you want your sims and/or pets skilled up for you? If so, how much? It doesn't matter. Are there certain skills you want skilled because you really like having them ready when you start with a new sim or household? It doesn't matter. Are there particular skill items that you really like having in a build? Not really. Other: Dear buddy, I'm sorry my letter is such a huge, jumbled mess! I have so many different tastes in architecture and design, it's hard to pinpoint exactly what I want in this moment, especially when it comes to what world I enjoy playing in most to help you out (I think the old town vibe of Appaloosa would be best). But, honestly, I will be delighted in seeing whatever your heart desires to build . . . as long as it isn't ultra modern or maze-like. Some additional information that may or may not complicate things is that I like eclectic design with vibrate colors. This kind of decor really, really appeals to me because it can meld so many wonderful styles of furniture into one and still look good, if done the right way. As a builder, I haven't truly captured that type of look the way I always wished I could. I'm sort of left ogling Pinterest in that regard, hoping that someday, I can find the right combination. My biggest wish list items are in bold. That took so long to do. EDIT: I prefer not using taxis for transportation. Bikes and other transportation is fine, but garages are not necessarily needed unless you want to do that. Just make sure you make a spot, so it doesn't go into their inventory.